The Ohio branch of Faith in Public Life recently recognized Jason Ridley, Youth director for the Allegheny West Conference, as the Faith Leader of the Year. Kettering College’s occupational therapy doctoral (OTD) program received noticedfrom the ACOTE of full accreditation status on Tuesday, December 12, 2017. ACOTE voted to grant a status of accredited for a period of seven years, which is the maximum amount given for initial accreditation. Kettering College is one of 17 ACOTE accredited entry-level doctoral programs in the United States. There are 163 ACOTE accredited entry-level masters programs. Kettering College (KC) recently held their first Giving Day. During those 24 hours, students, alumni, and friends of the college came together to make a difference for future generations of KC students, while celebrating 50 years of excellence, service and innovation. Share the Hope: Jesus is Coming Soon! The Lord has given us a pertinent message for a crucial time in history. We eagerly anticipate the second coming of Jesus! Now is the time to share this hope with those around us. So many things are happening—the signs all tell us of Jesus’ soon return. With the Faith for Family evangelistic campaign just one weekend away, more than 1,820 people from across the conference joined members of 23 central Pennsylvania churches in door-to-door outreach. They focused their efforts on communities hosting Faith for Family seminars. The Mountain View Conference (MVC) elected Mike Hewitt as president at their Executive Committee meeting today. Hewitt has served in MVC for a year as executive secretary and ministerial director. Larry Boggess, former MVC president, recently retired. “He loves soul-winning and people, and he can identify with many of our pastors who have come from a different profession than pastoring,” said Boggess of Hewitt. Hewitt previously served as pastor of Potomac Conference’s Lynchburg (Va.) church. He and spent 11-and-a-half years as a pastor in the Potomac Conference, and worked as a police officer for 10 years. 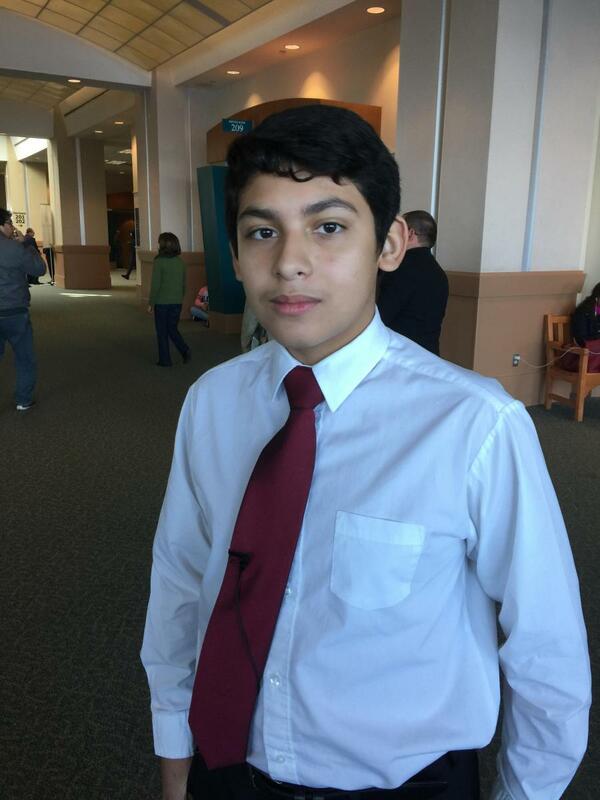 Brian Hernandez (pictured), a 13-year-old member of Potomac Conference’s Seneca Valley Spanish church in Gaithersburg, Md., stood by the baptismal tank of Alexis Argueta last Sabbath, as his eighth-grade classmate from Gaithersburg Middle School publicly accepted Christ through baptism. Argueta made a decision for Christ after Hernandez introduced him to Jesus and gave him Bible studies.